I'd also like to take this opportunity to wish all of our customers, family, friends and suppliers a very happy Christmas and Happy New Year! 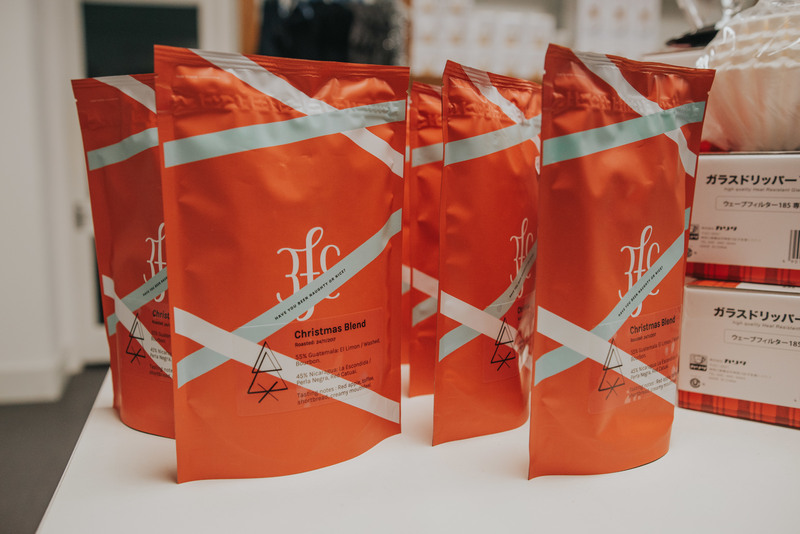 The annual 3fe Christmas Blend has always been a huge hit amongst Irish coffee enthusiasts and this year's incarnation comes in a brand new festive bag designed by Dublin design house Workgroup. Suitable for all brewing methods, the blend is available for €10 in store, online and available to ship all over the world if you have loved ones in mind overseas. If you want to go that extra mile, the Christmas Tasting Subscription will get a bag of the Christmas blend to your chosen recipient and a bag a month of something tasty for the next 6 or 12 months. This isn't a coffee for everyone, in fact its not even a coffee for most people. It's also one of the most expensive coffees we've ever stocked but with good reason. The SL28 variety is one that is synonymous with Kenya but this particular coffee comes from Costa Rica and a farm called La Cumbre. It's not just the novelty of an unusual variety/origin combination that makes this coffee interesting though but the intensity and clarity of flavour in the cup. Anyone who's interested in unusual lots and enjoys washed coffees with complex acidity will love this coffee. At the time of posting we have only two roasts left of this one before its gone. We hope to see a lot more of it in the future. Visitors to 3fe's shop on Sussex Terrace will be familiar with the now iconic monthly illustrations that adorn the courtyard wall by Dublin's own Steve McCarthy. The images proved so popular that they've been incorporated into a calendar for 2018 and available to buy as part of a limited edition run of 1,000 units. Each illustration is printed with a perforated edge and can be removed and framed in a standard record-sleeve frame. We've framed them at both of our shops and they really tie the room togther. We took these brewers in a few months back and instantly fell in love with them. The sleek Scandinavian design is full of useful features that make this one of the easiest ways to brew coffee at home or in a small office. I love this brewer so much that I bought one to use at home and I haven't used another brewer since. There are many ways to brew great coffee but few are as pretty or convenient as this one. We're currently stocking a range of excellent books on our website and in our shops that cover everything from coffee shops, to water, to coffee farms and all else in between. The coffee book market has really exploded in 2017 and we reckon we've got something to cover every base in the selection we've chosen this year. If you want to pop by either store to have a look in real life we'll have a good selection on the shelves to leaf through.